The edge has fallen off the summer heat. The early morning air is crisp, almost crunchy. The tips of noses and ears feel the prick of the icy air as we head off. The wind slices it’s way through the vehicle picking at anything loose enough to be whipped up. This has been a very slow visit to the bush without much excitement other than a close encounter with a very disgruntled giant of the bush whose state of musth has him viewing every passer-by with a malcontented eye. Dare to move within close proximity and his trunk lifts menacingly, he unfurls his generous ears flapping them frantically back and forth and he launches his huge frame directly at you ensuring you beat a hasty retreat. A new day in the bush always holds a sense of anticipation exacerbated by the perfect stillness as the sun gently lights the landscape. The morning holds much promise as our noisy vehicle makes its way through the dense bush. As we round a sharp corner on the rough track the much anticipated action is playing itself out. A stallion herd of Zebras is revelling in the new day. They are totally oblivious to our presence. They rear up, kicking and biting and butting at each other. The earth is churned up beneath their flicking hooves and the dust rises around them. 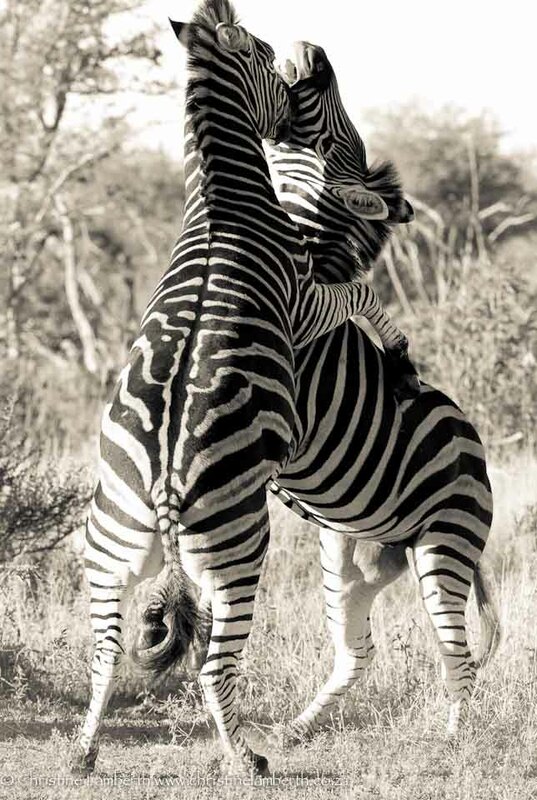 It would seem that the longer they jostle and battle each other the intensity of the interaction accordingly increases and teeth are bared and hooves are flicked up dangerously reaching out. Bodies move agilely to avoid the danger only to be thrown forward and sideways again and again. Then, before you know it, it is all over. 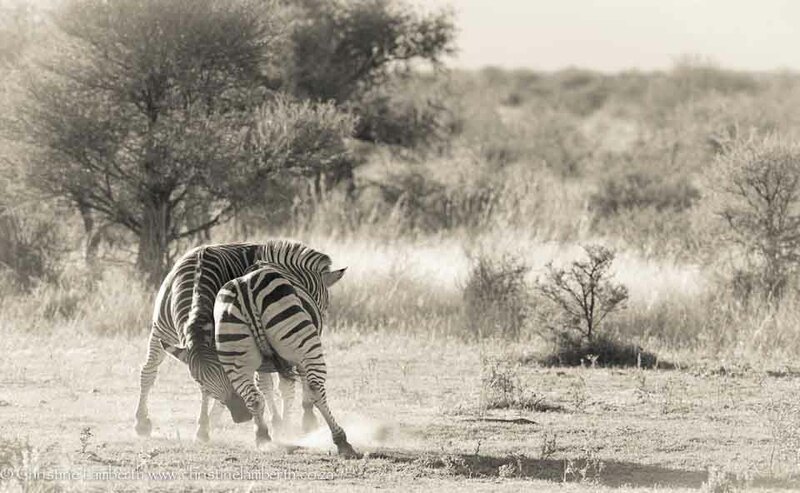 The Zebras move off seemingly quite satisfied by their early morning antics. 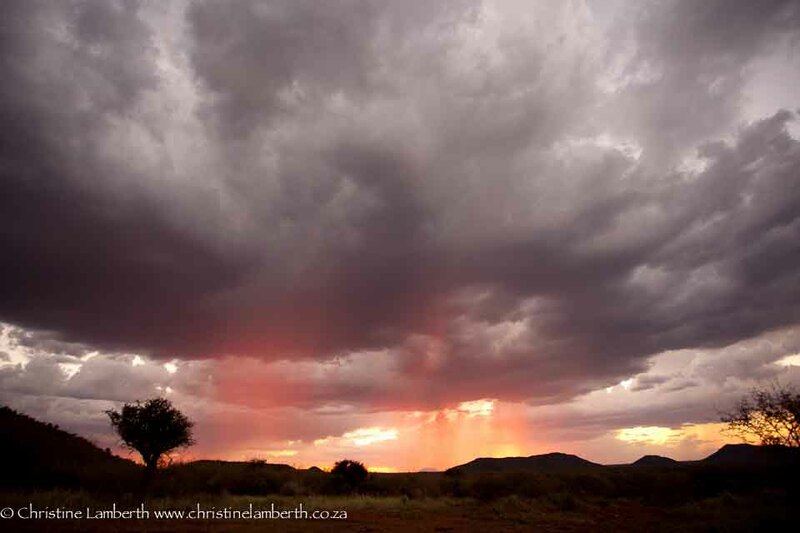 The day ends with a magnificent bushveld storm that moves in quickly and relentlessly to remind all and sundry that the forces of nature are ignored at your own peril. There is a certain quality to the African sun in midsummer that defies description. A thousand needles being punched simultaneously into skin perhaps comes closest to being accurate. Yet, here I am, sitting in the blazing sun, completely oblivious of the discomfort, on the deck of a lodge, watching keenly as a pride of lions stalks an unwitting warthog family. The elevated view of the deck affords a bird’s eye view of the hunt going down. From the right flank two lionesses move surreptitiously through the long grass, they separate and while one lioness moves directly towards the target the other starts flanking the prey by moving further south. Carefully they crawl through the blades of grass stopping every now and then to monitor the movement of the warthogs who are blissfully unaware that they are being keenly watched. North of the warthog group is the rest of the lion pride lazily spread in the cool shade of the acacia trees. 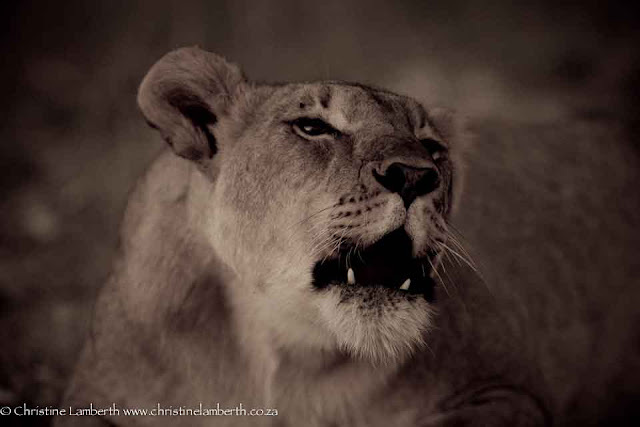 The lionesses continue their hunt, stealthily they move in, ever closer. As they come within striking distance, they simultaneously leap out from the grass and bear down on the group of warthogs. As in a synchronised movement the male lions and the sub-adults, lounging in the shade, spring to life and charge into the fray. The warthogs scatter in all directions kicking up clouds of dust. Pandemonium breaks loose and there is action in every direction. A loud squeal penetrates the still air and signifies a victorious hunt. We rush out to the vehicles parked outside. However, as we approach the lion pride there is no sight of the male and no evidence of any kill. The group of lionesses and their sub-adult cubs are lying on the edge of the road mournfully staring into the empty landscape. After observing the group for some time it becomes obvious that each member of the group is staring in the same direction with an unwavering intent. 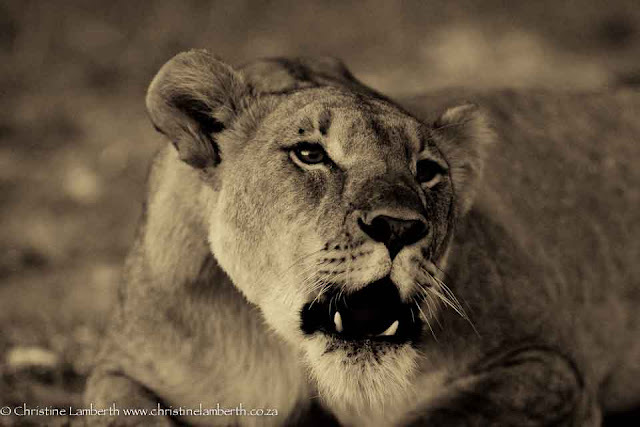 A sub-adult cub eventually emerges from the grass with smears of blood evident in the white fur around his mouth. 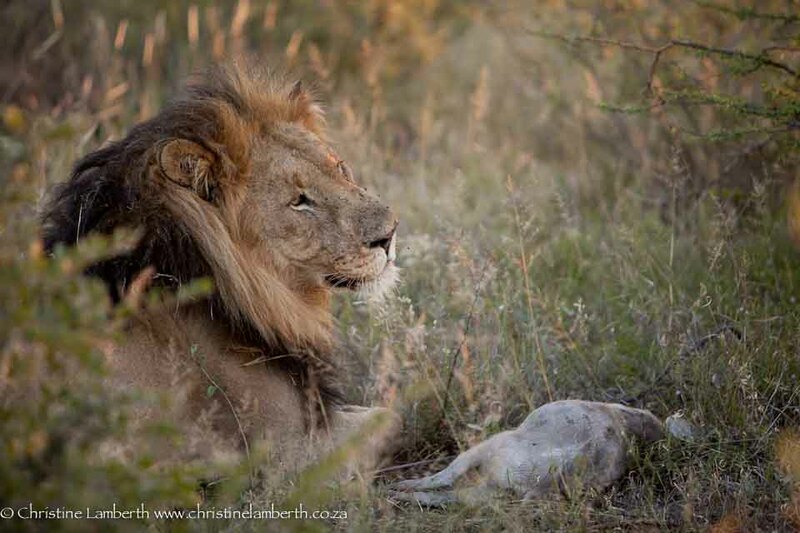 We instantly head off in the direction from which the cub emerged and are rewarded only minutes later when we come across the alpha male and lying next to him is a tiny little warthog. He has allowed the cub to open up the carcass but has obviously then sent him packing. His total disinterest in his prize is puzzling. We watch until he rolls over and goes to sleep. The engine rolls over and we head off back to the pride still lying next to the road. 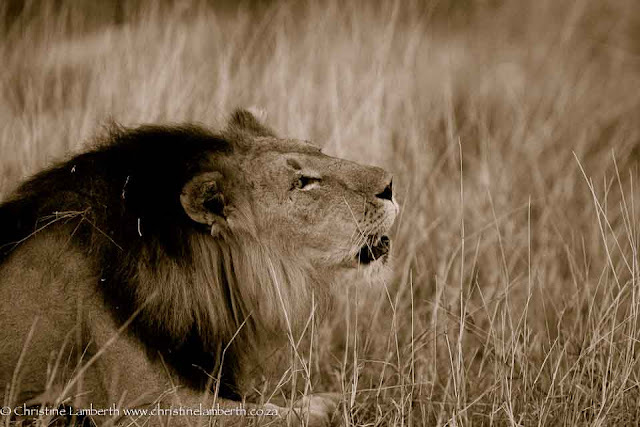 Their vigil continues but no one moves closer to the lion in the bush. This is very obviously a lesson in lion etiquette (otherwise referred to as behaviour by those who have studied Panthera leo). We continue to wait to see if anything will change but as the golden light of the setting sun spreads its warmth the group are still firmly in place on the road still staring off into the distance. In the fading light one lioness shifts her position ever so slightly and we are privy to one of the symphonies of the bush. None of the most magnificent productions on stage can ever compare with this. 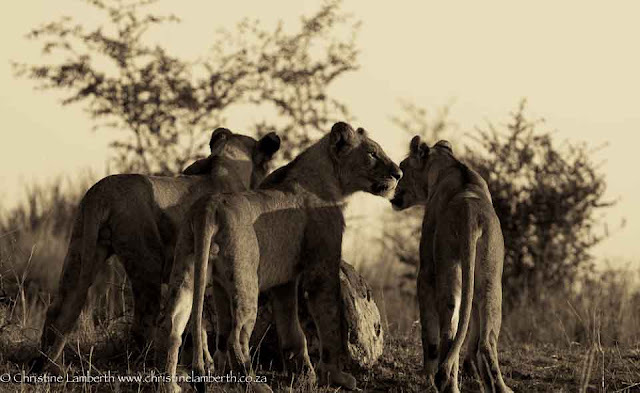 In unison the two lionesses start to roar followed by the male in the waiting group adding his magnificent tones to the aria. If there is a singular sound that can be identified with the continent of Africa, then this is it. 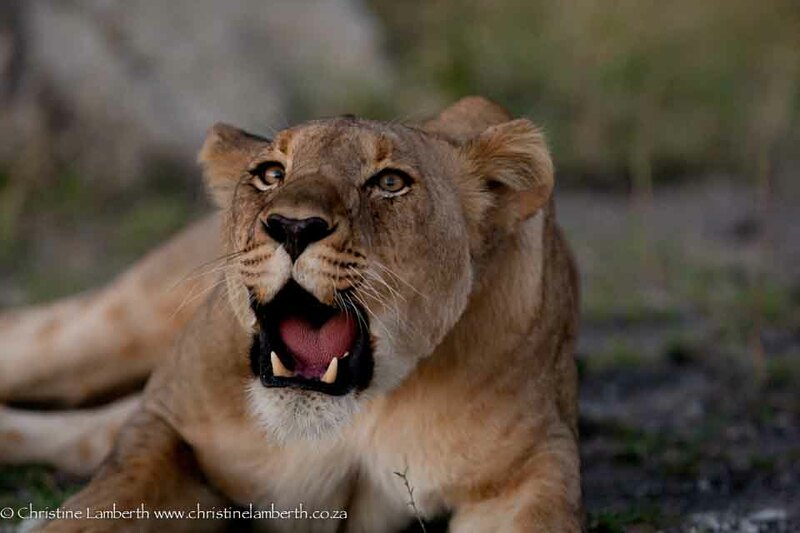 A lion’s roar can be heard up to seven kilometres away. Should you be in close proximity to the lion, as we are, the sound waves reverberate through the air and through the body. It is the essence of Africa, a primeval call that drives most of us to ignore the searing heat of the sun and to bask in the romantic notion of a deep and dark Africa. Once experienced, this is the call that will bring you back to the African bush time and time again and for some, they will never leave. The travelbug is indeed a very bad virus to contract. Once it flows through the bloodstream it is impossible to eradicate. The four corners of the earth are scoured for new destinations and as a heroin addict searches for the next fix so the compulsive traveller will need new destinations to feed the insatiable virus its next fix. 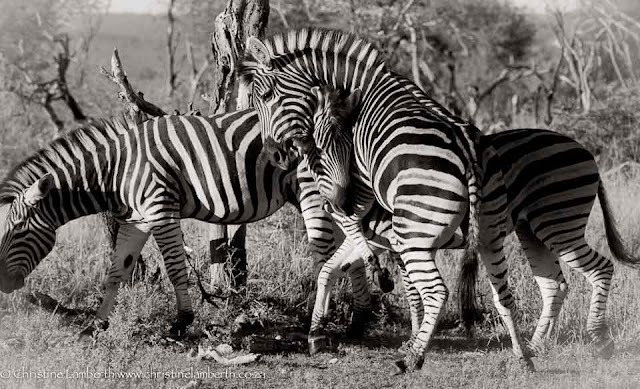 In the absence of a magical far-away destination for March 2012 the maps came out and the compass pointed north to a little reserve just down the road called Ithala Game Reserve. 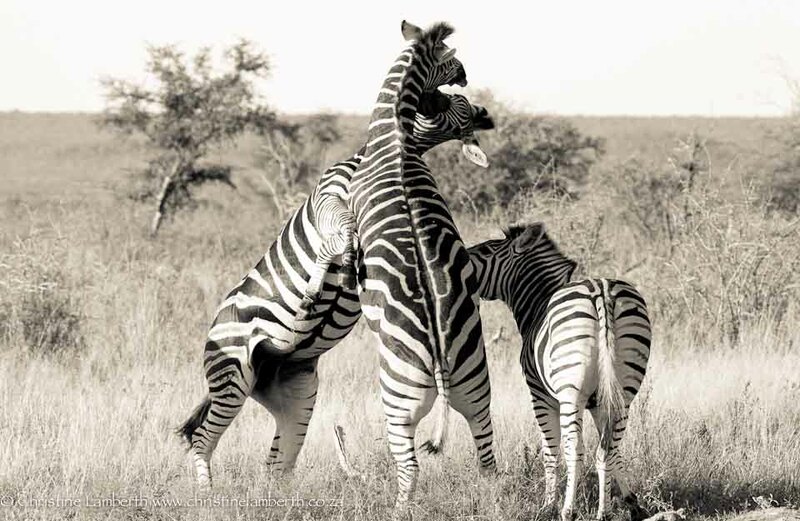 Research into the Reserve on the internet revealed that some tour operators will stop at nothing to hoodwink people into travelling with them including claiming that animals not on a reserve will be seen there. Ithala has no big cats other than the Leopard, a very elusive animal not easily seen in reserves where they have not been habituated. 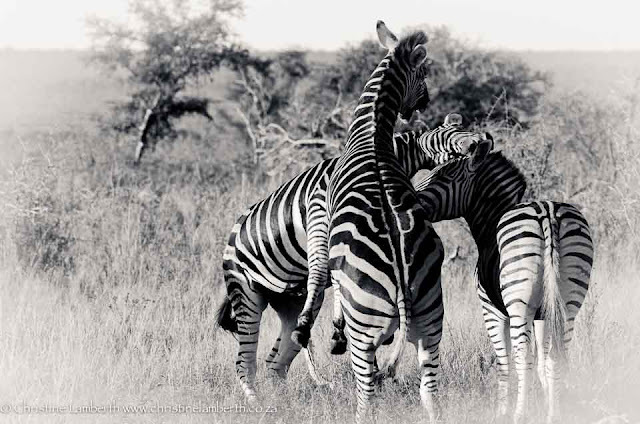 But, we should be able to see some elephants and rhinos amongst the other plains game. However, what attracted me to the destination was something completely different. 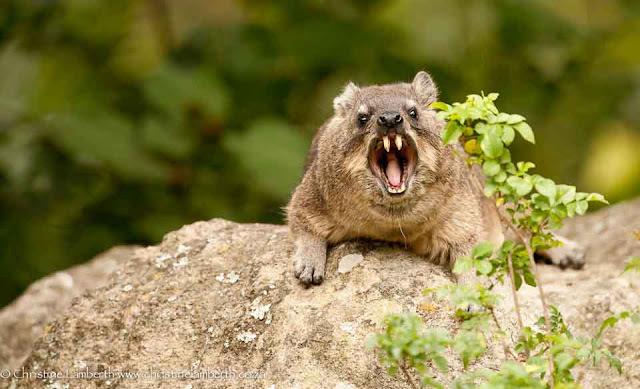 According to a couple of write-ups there are some Dassies (Hyrax) that frequent Ntshondwe Camp along with Bushbabies that move around the accommodation units at night. And so on Friday afternoon we packed our new Landrover Defender Puma and hit the road. 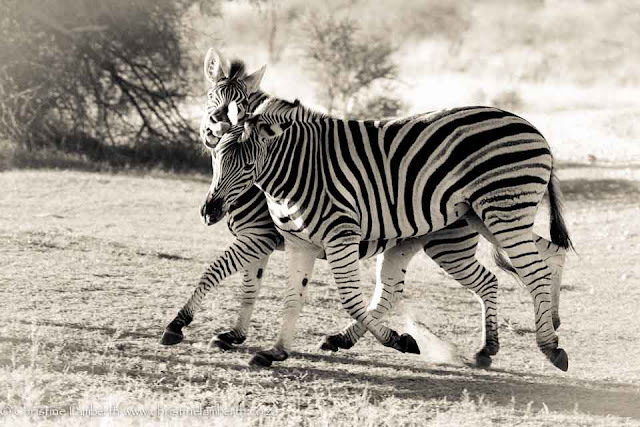 One of the remarkable things about staying at a KZN Wildlife Park is that it is really, really affordable. Two nights for two persons (last minute booking rate) come in at a total of R900.00 on a bed only basis. Astoundingly good value. Neat and clean with a fireplace to boot, who could want more? The drives in the morning and the late afternoon prove to be rather fruitless as the roads on the reserve keep the animals well at bay even for a super telephoto lens and the rules state no driving off-road. 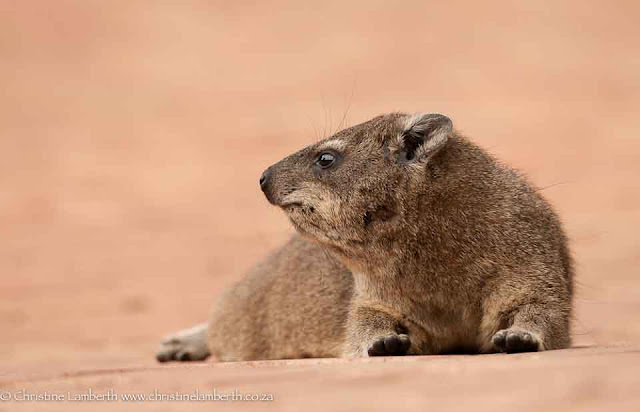 However, on the second morning as we return from our morning drive we find the Dassies running around between the units. While I am resting my weary head Paul (my other half) grabs the camera and chases after the small Dassie family sunning themselves outside our door. Whoever thought a dassie could look really mean. 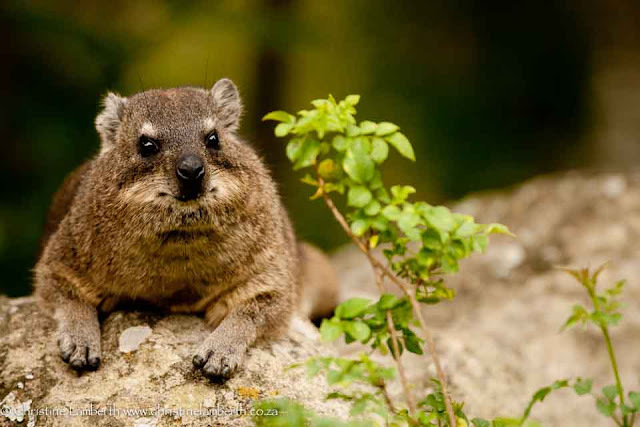 The Bushbabies remained elusive on our two nights stay but I have to admit that the weather was against us. However, we now have a good reason to return if only to try and photograph the fleetfooted nocturnal Bushbaby.